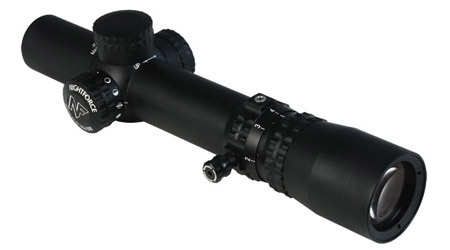 Closeout pricing available on select Competition and NXS Scopes. If hunting dangerous game is your passion, there is no better scope on the market to keep the odds in your favor than the Nightforce NXS 1-4x24. The low profile of this compact NXS complements big bore bolt action and double rifles beautifully. In practical application at 1 power, it is as quick as open sights and vastly more precise allowing you to shoot with both eyes open. 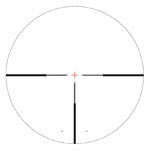 Your field of view is a full 100 yards providing instant target acquisition and precise shot placement. It is designed for dangerous game at close quarters, in dense brush, and for running targets. Few sport optics in the world will withstand repeated recoil from the largest calibers and the Nighforce NXS 1-4x24 is one of them. Needless to say, being a Nightforce NSX, this scope is equally adept on an AR for tactical applications.